Startup and Outsourcing is an interesting concept where solopreneurs will focus on their core competencies and entrust a few processes to another entity. Many startups are engaging in outsourcing for various reasons like economies of scale, reduced costs, improved performance, focus on core activity etc. "I think it is almost impossible to start something without outsourcing certain aspects of the business," says Brian O'Malley, a venture capitalist at Accel. According to him "Not only can you move tasks off your plate, but many of these shops can perform the function better at a lower cost than you could do on your own." 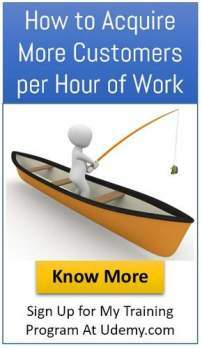 Outsourcing is the farming out of a business process or service to a third-party provider. For example, if a company wants to hire an accounting firm to handle all of its financial processes regarding taxes, it has outsourced that process to the firm. Startups would like to launch their products or services, as quickly as possible, in the market. Only the market can decide whether the idea can succeed on its own or whether it requires modifications. Startups may also find it difficult to hire specialist resources due to higher costs and also they may not be fully utilized. It is normal in a product company to outsource the design function while the product development will be done in-house.HR is also usually outsourced. The manufacturer who requires dies may get it done from a tool room instead of acquiring assets to make the dies. Some startups will build a prototype using an outsourced development team to validate their product concept, quickly and cheaply. If that step is successful, some would then hire an in-house development team. The following iconic companies when they were startups used outsourcing as a strategy. Skype outsourced the very first steps towards their product. Many a times, start-ups prefer doing everything on their own, but this is a good example of how outsourcing the various primary steps involved in building a product or a service can prove beneficial. It is important to focus on your core competencies and let the experts, no matter where they are, take care of the other aspects. Skype outsourced the development of its website, which is its service platform. Nike named after the Greek Goddess of Victory, was created by Phil Knight as a small business in Beaverton, Oregon in 1968. The company employs close to 60000 employees and the production is done by sub-contractors. Nike has around one million workers employed in 800 outsourced companies spread over 50 countries around the world. Nike's success is based on an important strategic innovation, to subcontract the complete manufacturing from the start. This process of outsourcing led to the appearance of the first true network firm without factories. Nike is a company that does not produce anything. The company mainly focuses on concept and advertising and brand management. The company is relatively small compared to its sales and worldwide volume of production. Bharathi Airtel shocked mobile telephone industry by outsourcing telco’s network infrastructure development and maintenance. They focused on building market share in the fiercely competitive mobile telephone market in India. They continue to have the largest market share. The above three companies are a good role models for startups as they have used outsourcing to convert fixed cost to variable cost. Further they were able to get the best support services and their focus on creating the brand and acquiring customers probably are the reasons for their phenomenal growth. All these companies outsourced their solutions to developers who are costly to hire. 1. Slack: Now valued at nearly $3 billion, this company used outsourcing to develop its solution in its earliest days. 2. Fab: This large startup partnered with developers in India to maximize funding while scaling up when their business showed signs of growth. 3. AppSumo: The company has used many freelancers in various fields, including marketing, content and IT to grow its business. 4. Staff.com: Serving as a company that offers outsourced talent and freelancers for other organizations, Staff.com utilized the same model to grow from a start-up into a globally successful business. 5. Branchout: This app was created entirely with outsourced development. 6. AlertBoot: The company decided to outsource infrastructure-as-a-Service (IaaS) and cloud hosting to speed those areas of development. 7. MYSQL: From the start, the company believed and proved the success of a growth strategy that included using a mostly outsourced staff in various countries to ramp up operations in each location. 8. JPay.com: Outside developers built their technology and infrastructure. They used people in India, China and Israel for quality assurance, engineering and hardware. It helped to have the outsourcing in place to handle growth. They eventually sold the company to Securus Technology. 9. Proximate Global Inc.: This company used an outsource service provider to create a location-based service for smartphones called Face2Face. 10. Mailburn: This iPhone email client solution developed thanks to a partnership with an outsource service provider that helped with many of the technical aspects of the solution. Growth, traction, and expansion are always “top of the mind” among startup entrepreneurs. However, they only have so much time and can quickly become overwhelmed by their efforts to grow their company. This can lead to not finding time to focus on core tasks, like building and iterating their product, app, or service. Outsourcing as a strategy right from the beginning can help startups to grow their business by focusing only on their core competencies. 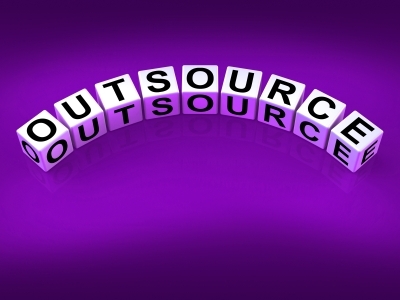 Selecting the right outsourcing partners is the key to success. Outsourcing also has resulted in the birth of many new successful startups.